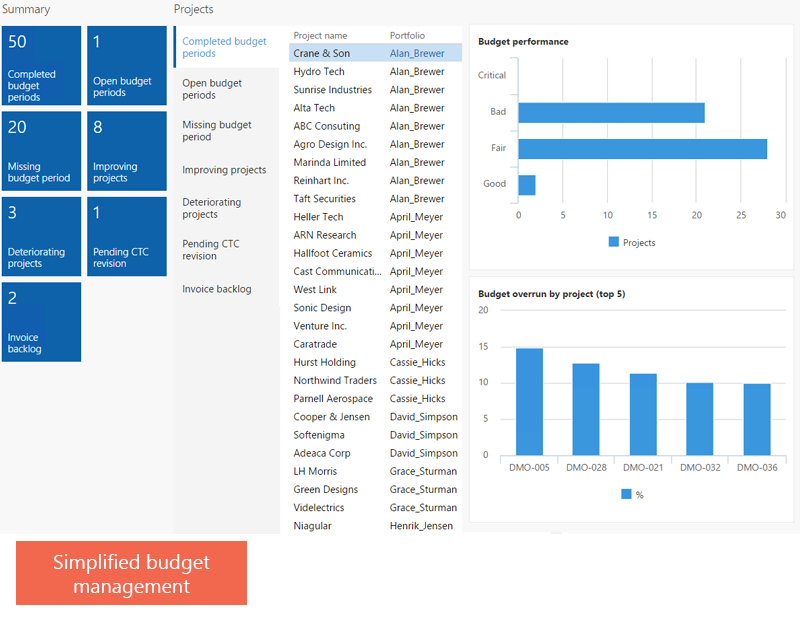 Real-Time Financial Insight into Your Projects. CBS, Budget Management, Project Costing, Earned Value (EVA), Subcontracts. 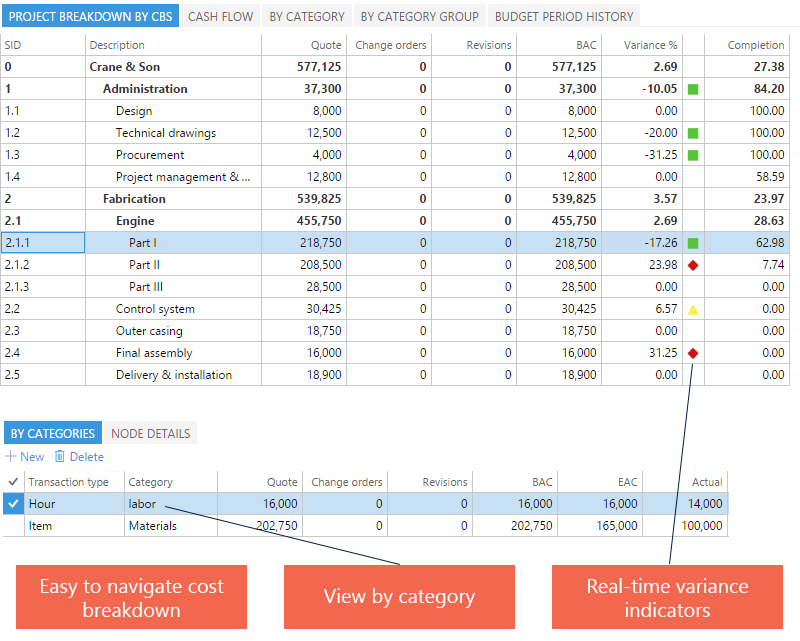 What if you could instantly see the financial impact of operational issues in your projects? You can with ADEACA Project Business Automation™ (PBA). ADEACA PBA™ Project Financials is built on Microsoft Dynamics 365 for Finance and Operations, giving you an enterprise ERP tailored for project-based companies out of the box. Eliminate the need for spreadsheets and standalone project accounting software to financially manage your portfolio of projects. To effectively manage your project financials, you need a solution which sets projects center stage. ADEACA Project Business Automation™ (PBA) provides a genuine project centric business solution that eliminates the need for complimentary point solutions. Effective financial management of projects requires much more than what traditional project accounting systems provide. ADEACA PBA closes the gap between what project industries need and what mainstream ERP solutions offer. A solid accounting framework is certainly required to track actual costs and invoices, revenue recognition, accruals and budgets. However, when it comes to securing project profitability and supporting effective decision making it is much more important to project and track EAC, variances, profitability, contingencies and productivity while at the same time identifying trends and maintaining a full audit trail. The project portfolio/program hierarchy is the enterprise wide structure which signifies organizational position of any given project. Portfolios are extensively used as reporting dimensions as well as to manage access rights and project aggregation. To provide the necessary level of reporting granularity and to effectively manage actuals, commitments, budgets and forecasts, projects are broken down into Cost Breakdown Structures. By dividing a project into smaller and logical financial positions, controllers can easily identify variations even at the start of the project life cycle and are able to accurately reforecast to project not-yet-realized variances. Cost breakdown structures are summarized into cost code hierarchies which facilitate cross project and cross company aggregated reporting. 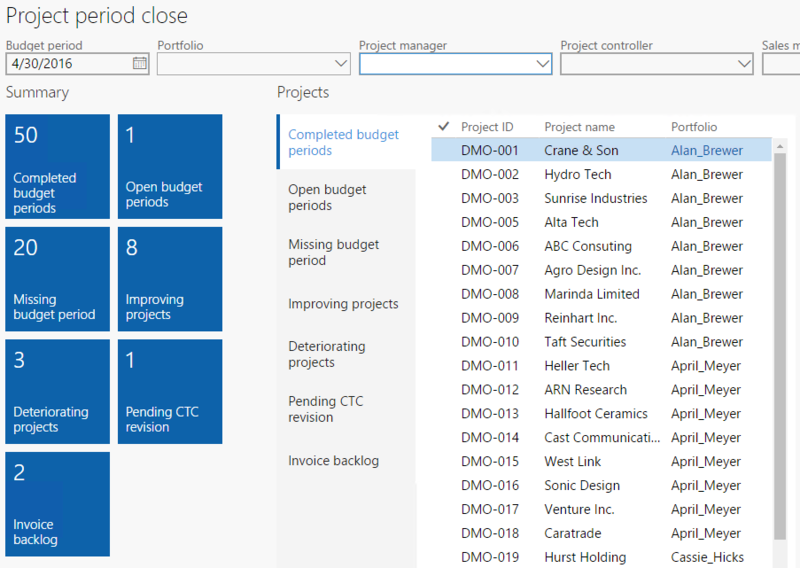 Effective management of project financials is a complex proposition that requires a purpose-built solution that sets the project center stage - Project Business Automation. This is something mainstream ERP solutions fail to deliver which typically results in the emergence of stand-alone point solutions to compliment the ERP system. ADEACA PBA™ is engineered to meet the sophisticated requirements of financial project management all within a single integrated solution, this means no time-lapse or data translation between the source accounting transaction and the financial management tools. ADEACA PBA not only provides the necessary toolset, but the real-time availability of data and predefined business processes throughout the solution transforms the myriad of financial project management components into a coherent entity, auditable every step of the way and driven by corporate guidelines rather than individuals. The cost breakdown structure (CBS) is the central planning structure against which all financial activities are planned and managed. 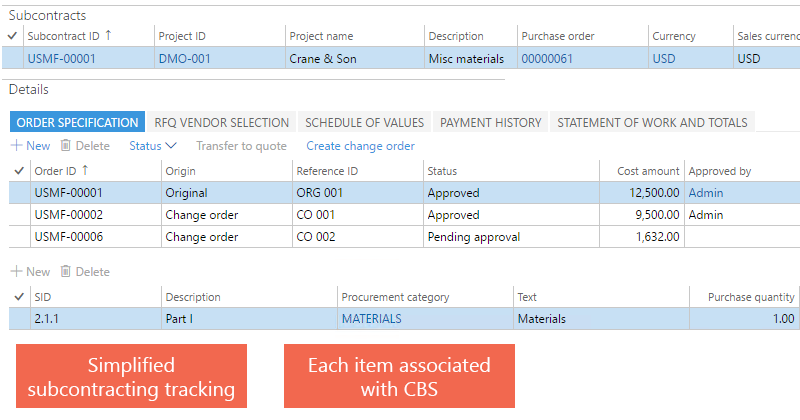 The CBS is a multi-level hierarchy that allows you to define the exact level of details required to efficiently manage a given project or contract. Change orders, revisions and transfers, contingencies, estimate at completion, variances, progress and productivity indicators are all managed and tracked within the CBS to provide one cohesive construct with the necessary level of granularity. All budget positions are processed within dedicated budget versions against the cost breakdown structure. Budget versions are subject to approval, capturing cost and revenue estimates as well as cash-flow projections. You may establish project budgets using the built-in templates and formula driven estimation tools or via XML interface to external estimation tools. Changes to the original budget are processed as revisions, change orders or transfers. A full audit trail of all budget versions is of course available. Budget versions also entail estimation of deliverables, contingencies and undistributed budgets for rolling-wave planning. The periodic budget review process is at the center of establishing up-to-date reliable project performance projections. Early detection is key to effective project cost control. By periodically evaluating Cost to Complete (CTC) and Estimate at Completion (EAC), controllers can predict and record variances before they materialize and in time to take corrective action. The budget review process also computes updated expectations to project margins and productivity ratios against project deliverables. Project costing is period specific, and a full history of past periods is stored for future reference and trend analysis. The time-phased data contained within the costing sheet feeds multiple critical processes including revenue recognition, Earned Value Analytics, portfolio dashboards and the all-important month-end process. Project Subcontracting provides the capabilities you need for subcontract management, when the situation requires managing a fluid scope of work, especially when multiple engagements are underway simultaneously. These situations always result in a significant increase in the paperwork and subcontractor oversight required. ADEACA PBA helps you understand and control subcontracts, and provides a seamless integration between the accounting data and the delivery operations. Tight integration with the project estimation process allows you to incorporate firm prices from subcontract RFQs into project quotes and change orders. Likewise, a subcontract change order can be converted into a client project change order by the click of a button. Track receipt of required documentation like insurance details, certificates and waivers and block payments against non-compliant subcontracts. Subcontracts are subject to tight change control and approval processes, this ensures that cost commitments and payments are always based on the currently approved schedule of values and that pending change orders are clearly called out, resulting in clear financial implications in your projects and rolling up into your portfolio.